Harry Busby, the "Canadian Cockney" passed away the morning of 22 August 2007 at about 10:10 am, at the age of 74. We are going to miss him dearly. 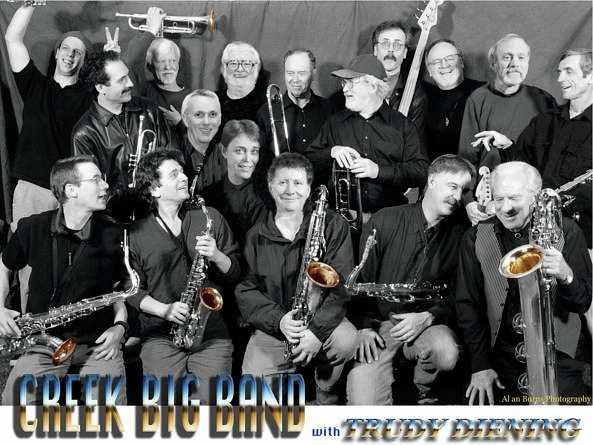 The big band started in the fall of 1997 after completing a big band work shop let by Blaine Dunaway who then went on to lead the band until he left to join the circus.... really I kid you not! It was Teatro Zinzanni in Seattle for sold out performances playing his mandolin, violin, and trumpet. Some of the best live entertainment I've ever experienced.... wild and crazy stuff. 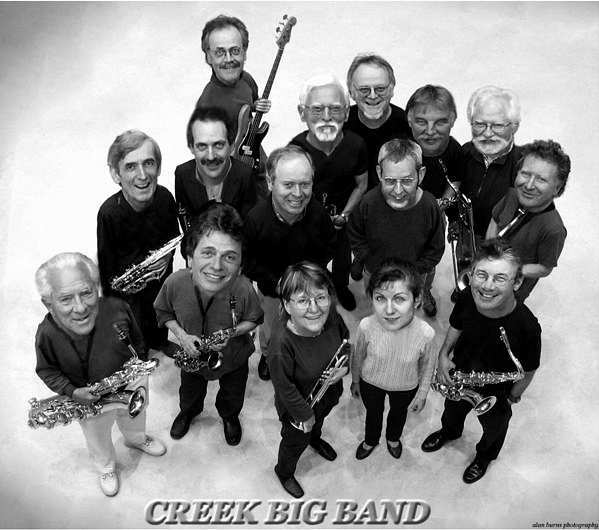 Here is the Creek Big Band that is currently working on the Sunshine Coast just a 40 minute ferry ride north of Vancouver BC. We are having fun playing at the local high school graduation dances, the local jazz festivals, and local functions, etc, featuring incredible, special guest vocalists. 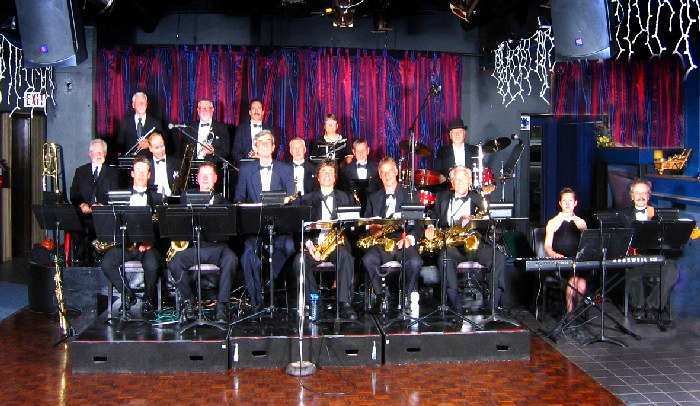 The Creek Big Band is made up of unpaid volunteer musicians who contribute their time and talent for the benefit of Sunshine Coast music students and audiences. The money earned from their paid performances goes toward scholarships for Sunshine Coast students going on to further music studies, and toward miscellaneous band expenses. 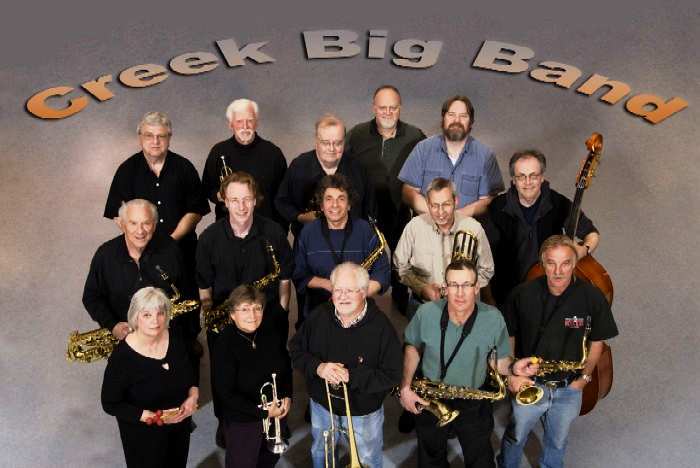 The Creek Big Band is always looking for additional gigs, and therefore encourage you to book the band for your next dance, party, or other extravaganza for which you wish to have some great swing, jazz, and dance music. 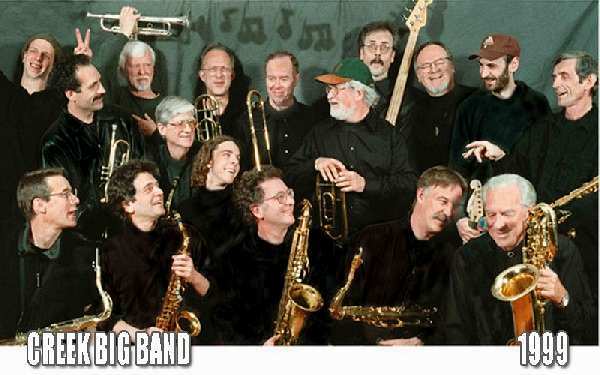 Some of the other Pacific Northwest music groups represented in this band include: The Chancellers, Messenger, Shawanagan, Berrycup Blooze Band, AfterHours, The Royal Clefs, and many other NW bands.